The fouta towel lurex, Orange & Silver is elegant, soft and chic. 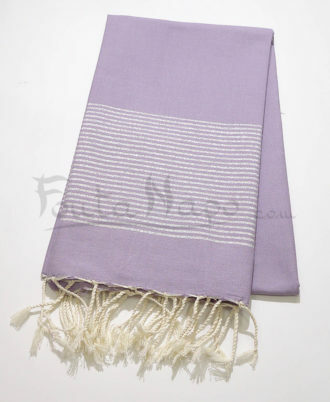 This fouta is the origin of traditional product from oriental culture. 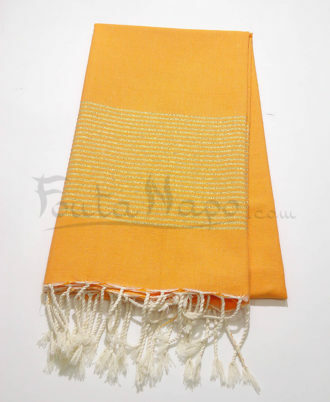 You can use this beautiful fouta in the beach or in your house as a tablecloth. 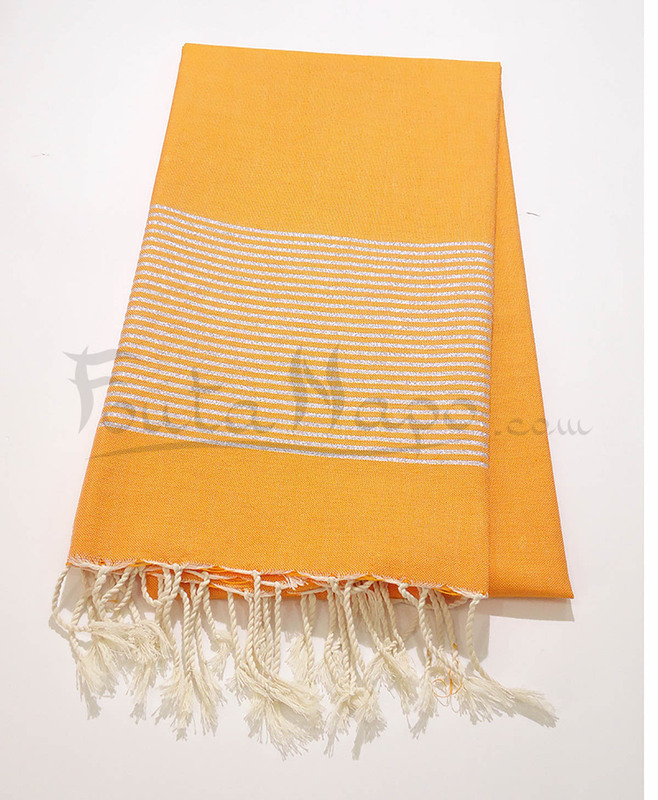 It is an amazing fouta with different uses.